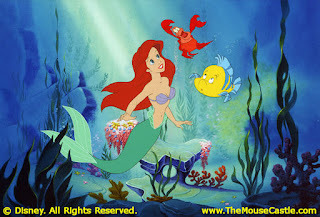 Disney News and Interviews From The Mouse Castle: Disney Classics in 3D: Stop the Madness! Well, $80 million certainly got Disney's attention, didn't it? Following The Lion King's astounding movie box office returns during its just-concluded run in 3D, Disney announced Tuesday it would give the 3D treatment to four other films and release them in limited theatrical engagements during 2012 and 2013. The blatant cash grab continues. 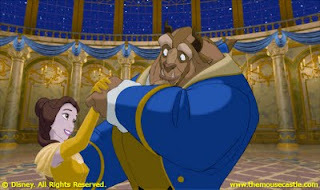 Since it already completed a two-week run in 3D at the El Capitan Theatre in Hollywood last month, Beauty and the Beast will be the first one of the four to hit theaters on January 13, 2012. Pixar's Finding Nemo will follow on September 14. In 2013, Monsters Inc. will take its turn on January 18, five months before its new prequel, Monsters University, debuts. The Little Mermaid will finish up the series on September 13. 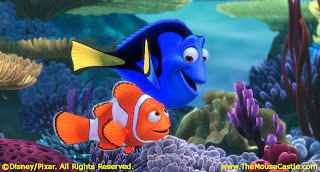 If Disney sticks to past practice, the good news is we'll have beautiful new Blu-ray releases of Nemo and Mermaid following their theatrical runs (Beast and Monsters Inc are already available on Blu-ray, although I'm sure we'll see them reissued in a Combo Pack that includes a 3D disc). The bad news is Disney will continue to over-saturate the already bloated--and mostly unnecessary--3D movie market. And it'll do it at the expense of films that are perfectly fine as is. When I was growing up, in the era before home video, Disney would regularly re-release its classic animated films in theaters every seven years or so. This is how I was introduced to Snow White and the Seven Dwarfs, Fantasia and many other great Disney films. If Disney were to take this route with The Little Mermaid and Beauty and the Beast, I would cheer. These are magical movies that I would gladly see again on the big screen, but in their original 2D form, not in a gimmicky 3D retrofit. Yes, I know, The Lion King re-release was also shown in 2D and these upcoming releases likely will be as well. Sadly, that's not the point. The fact that Disney feels compelled to trick out its classic film library in 3D to somehow stay relevant to modern audiences is insulting to both moviegoers and to the artists and animators who originally made these films. Your work is no longer good enough. We're going to make it "better"--and charge people premium prices to see it. I passed on The Lion King during its latest theatrical run. I plan on doing the same for these next four films. Call it my (not-so) silent protest against tampering with movies that were never intended to be seen in 3D to begin with.